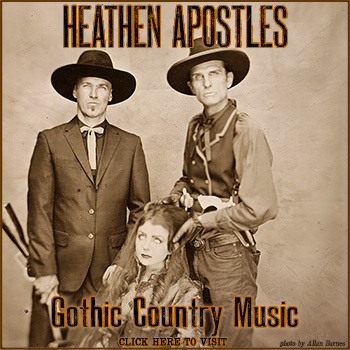 Heathen Apostles Gothic Noir Video "Death Came a Ridin'"
The new Heathen Apostles Gothic Noir themed video Death Came a Ridin’ has debuted. It is the first music video from their current album Bloodgrass Vol. I & II (Ratchet Blade Records), and was directed by Ashley Joncas from a very wild story by the band. Bloodgrass Vol. 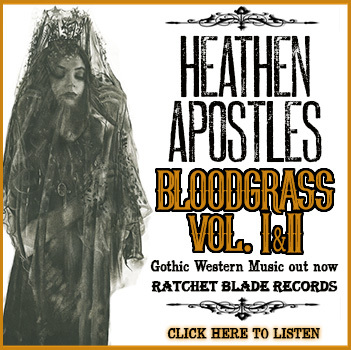 I & II is the Heathen Apostles fourth album, and features their Gothic Americana take on the Gershwin classic Summertime, as well as Darrell Scott’s You’ll Never Leave Harlan Alive. 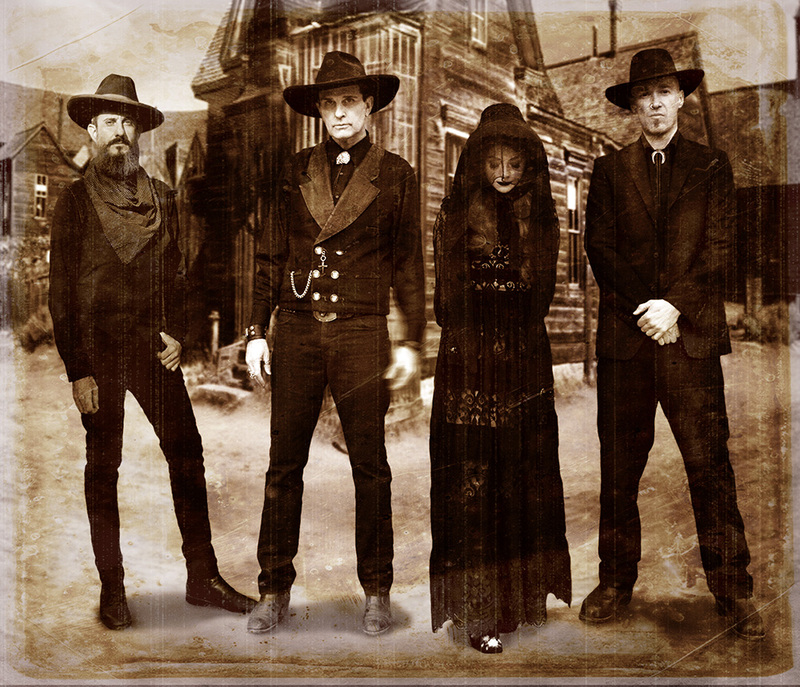 The band is now in pre-production for their next video for Deadly Nightshade, which will be directed by Jorge Jaramillo (who also directed their Paint the Stars music video, which you can watch HERE). “Death Came A Ridin’” continues the story of the Unholy 3 (Chopper, Thomas, and Mather) we first met in “The Reckoning” 5 years ago. This time, the Unholy 3 cross paths with a new cast of characters: a vile and corrupt Preacher…two deadly Assassins…a mangled Marshal and his two depraved Deputies, two supernatural Natives, and a Witch o’ the Woods. What else could you ask for?